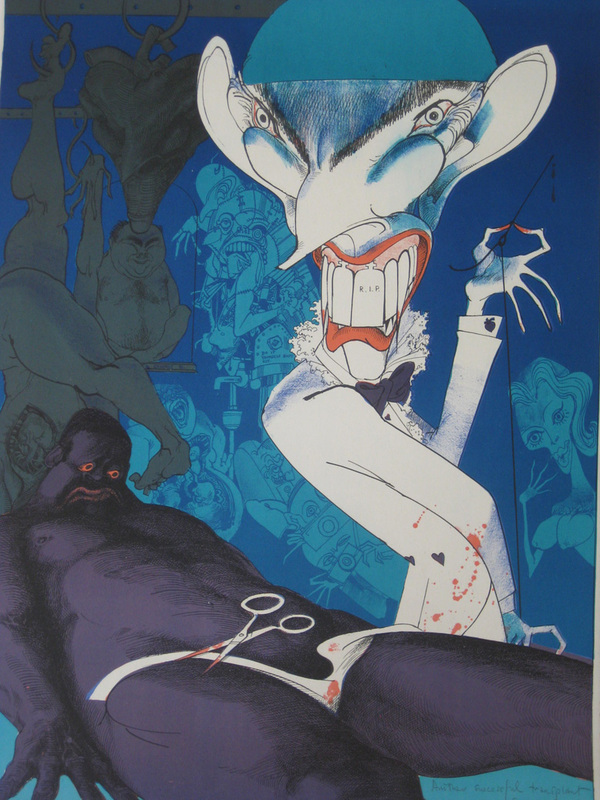 Gerald Scarfe was born on June 1, 1936 in London, England as Gerald Anthony Scarfe. He is known for his work on tv programme: Gerald Scarfe, Drawing Blood (2003), film: Pink Floyd, The Wall, (1982) and a popular comedy series Yes Minister (1980). He was married to the actress Jane Asher in 1981. Best known for his caricatures, he was in fact awarded the Laurence Olivier Theatre Award in 1994 for Best Costume Designer for An Absolute Turkey. He also has worked for the New Yorker and still works for the Sunday Times. His cruel cartoon depiction of politicians, and major public figures still court controversy. He was awarded the C.B.E (Commander of the Order of the British Empire) in 2008.